When all is said and done, Suicide Squad might end up being one of the biggest, if not the biggest, movies of the summer! And it promises to dominate all of August if it can deliver on what is one of the more unique premises to hit the superhero genre. The rollicking adventure gathers DC Comics' most iconic super villains for a mission: impossible task. And the movie, which follows Batman V Superman as the next chapter in the DCEU, is generating huge interest from the ticket buying public. After getting dismal results from what should have been a gargantuan hit with Dawn of Justice, Warner Bros. looks to be getting DC Films back on the right track. And if the pre-release tracking is any indication, Suicide Squad will be a big win for the studio. The edgy thriller is looking to open north of $125 million in the States, which would be huge for a first time superhero movie. Now, Warner Bros. just has to continue its stellar efforts in promoting the adventure leading up to its August 5 debut in theaters across the country. David Ayer, known for his gritty cop and war movies, such as Fury and Training Day, is directing this epic ensemble, which stars some of today's biggest Hollywood heavyweights, including Will Smith, Margot Robbie and Jared Leto. Some box office analysts believe $125 million is an early number that is only set to rise as we get closer to the movie's premiere, which will get special Thursday night previews on August 4. Though, they stress it is still early in the game. 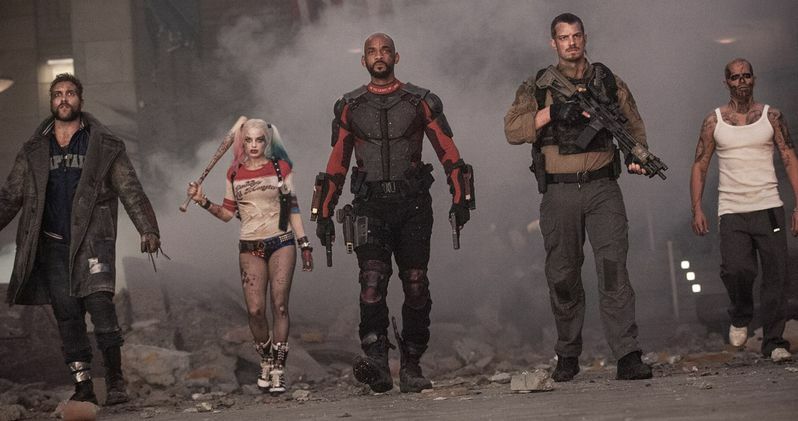 It's noted by The Hollywood Reporter that Suicide Squad should have no problem beating Marvel and Disney's Guardians of the Galaxy opening weekend, which debuted in the same frame summer 2014. That movie arrived to the tune of $94.3 million and went onto be one of that year's biggest hits. Like that movie, Suicide Squad is a franchise kick-starter that doesn't already have a built-in fan base outside of comic book and superhero aficionados who are already familiar with this line-up of strange characters. The big question on everyone's mind is whether or not Suicide Squad, as a newcomer, can beat this year's other new kid on the block Deadpool. That movie was an unexpected hit for 20th Century Fox. It became the highest grossing X-Men movie in that franchise's history and the biggest R-rated movie of all time, premiering with $132.4 million when it arrived this past February. All things considered, Suicide Squad has the advantage with it's PG-13 rating firmly in place, which ensures more audience members can get in to see it. Suicide Squad will have a big presence at next weekend's Comic-Con. Now we'll just have to sit back, wait and see if this DC super villain epic has what it takes to be a box office behemoth and a genre classic. Suicide Squad follows the events of Batman v Superman: Dawn of Justice, and takes place in a post-Superman world where the government tries to determine how to respond in the event that an alien with more villainous intentions visits Earth. Ruthless intelligence officer Amanda Waller (Viola Davis) offers to recruit society's worst criminals, those possessing lethal skills and superhuman powers. Her first target: the possessed archaeologist June Moone/Enchantress (Cara Delevingne). When Midway City is threatened by a powerful mystical enemy, Waller's plan gets the go-ahead. She cuts deals with the whole squad of prisoners: Deadshot (Will Smith) gets his Second Amendment rights ­reinstated, Harley (Margot Robbie) is set free from her cage, Diablo (Jay ­Hernandez) steps out of his fireproof prison, Boomerang (Jai Courtney) and Slipknot (Adam Beach) each get to wield their signature weapons once more, and Killer Croc ­(Adewale Akinnuoye-­Agbaje) emerges from the swamp. The only condition is this: Obey orders or die. This is strictly enforced by squad leader Rick Flag (Joel Kinnaman), the samurai Katana (Karen Fukuhara), and of course the explosive devices - developed by Wayne Enterprises - inserted into their necks. However, the arrival of the tatted-up Gotham City mega-criminal, the Joker (Jared Leto), might doom the mission thanks to his plan to reunite with his true love, Harley.